It’s essential we show that we will not be demeaned or marginalized. It is up to us as a nation undivided to stand together and continue with freedom and a way of life that will not be threatened or minimized in any way. After 9/11 we all saw that even the most horrifying tragedy will not divide us. We came together as a nation using all of our strength and might and we made it through. 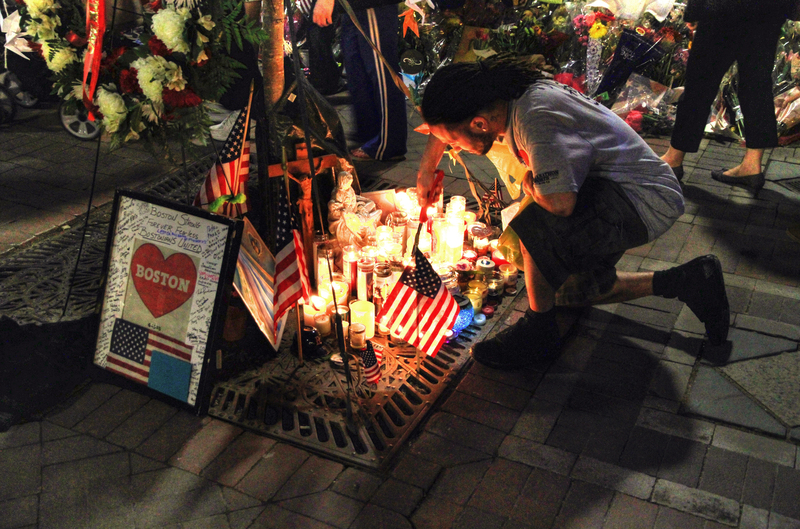 Certainly Boston has risen to the occasion and we all can. We must be resilient, we must be strong, and we must fight for our right. Some participants inspire us all striving forward with false legs, or some that only have one leg, racing with spirit and determination. This is what it’s all about. The best formula for pushing back against the terror that tries to stop us, is fighting through fear and doubt with resilience and determination. We could now apply this philosophy to Americans who are treated unfairly in business or in their personal lives. People often times find themselves a victim of bullying. Whether in school, at work, or at home, at any age, in any culture, or in any social group. I find that people often get discouraged, feel worthless, and want to give up, but we must not let them win. We must continue to strive to be the best we can be, set goals and accomplish them, no matter who tries to get us down. In turn, we will Thrive with success and prosperity, and not letting the negativity in, we will always Survive. When life gets rough, remember to think “Strive, Thrive, Survive”.